Is your next new car in our list? Time was £12,000 didn’t buy you very much car at all, but since the global recession the automotive landscape below that pricepoint has altered dramatically. The result is a segment bursting with cars, of different shapes, sizes and types, that are better than ever. Whatever your needs, there’s a sub £12,000 car that’ll be a perfect fit for your life. There’s plenty of reasons the Blue Oval’s baby has been a consistent best seller here in the UK, not least its practical cabin, sleek looks, sharp handling and vast range of trims and engines. 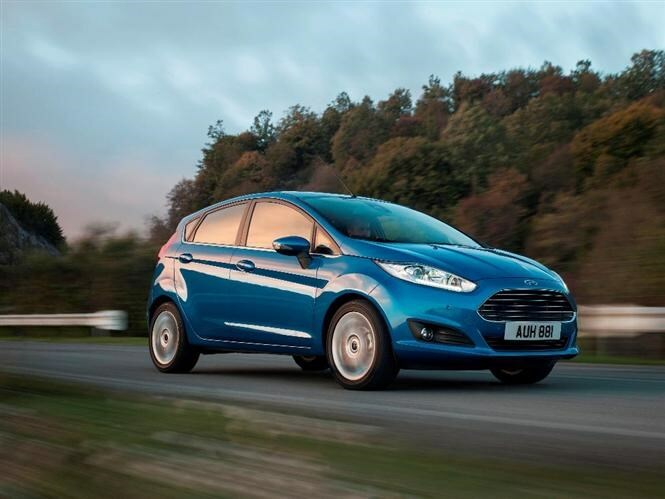 Your budget won’t stretch to the hot ST model, but the three-door 1.25 Style with 59bhp is just within reach. It’s not the fastest Fiesta by a long shot, but that’s beauty of this baby Ford – as long as you maintain your momentum, you can have more fun in this than any other supermini. If you can’t live without a little extra power, the 1.25 with 80bhp is available for just £500 more. Standard Kit: LED daytime running lights, USB port, air conditioning, remote central locking and ford’s MyKey system. 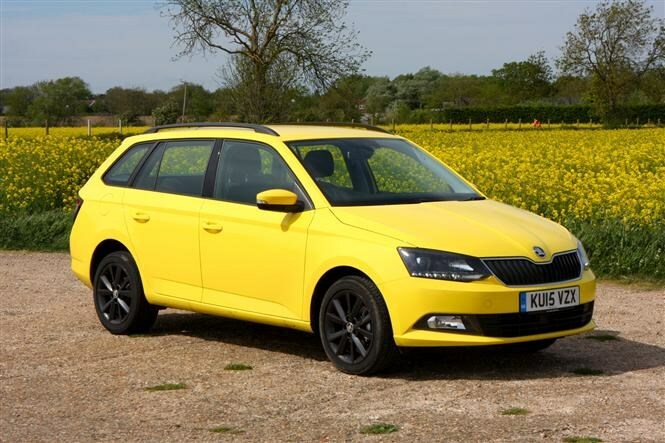 Another budget stretcher, but it gets you something of stretched supermini too with the new Skoda Fabia Estate available from £12,460. For that you’ll benefit from the car’s massive 530-litre boot space – that’s more than many cars far larger than the Skoda. And if you drop those rear seats that extends to 1,395 litres. Of course you’ll have to make do with the most basic engine and trim, and the 1-litre MPi petrol isn’t the most exhilarating unit but it is at least relatively economical and efficient with 58mpg possible and 109g/km of CO2 emissions. Rear-engined and rear-wheel drive for less than £12,000? Sounds like a spec sheet for a dreamily-priced German supercar, is actually the new Renault Twingo. Gone is the previous model’s dowdy front-wheel drive and comically tall stance, replaced with sharp looks and rear-wheel drive agility. It’s all about in-town ability though, the engine location affording it more steering lock than a front-engined car and a turning circle to rival a London taxi. 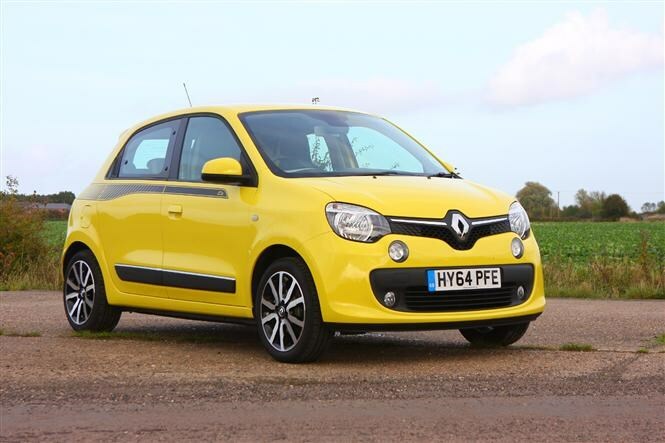 Plus your £12k nets you a baby Renault with the turbocharged triple-cylinder petrol engine, which offers a semblance of performance along with plenty of character. Standard Kit: DAB radio, Bluetooth connectivity, LED daytime running lights, air conditioning, cruise control, leather steering wheel and 15-inch alloy wheels. It was Volkswagen that invented the original people’s car, so it stands to reason the German firm would feature in such a list – even if the Beetle now sits way beyond this pricepoint. 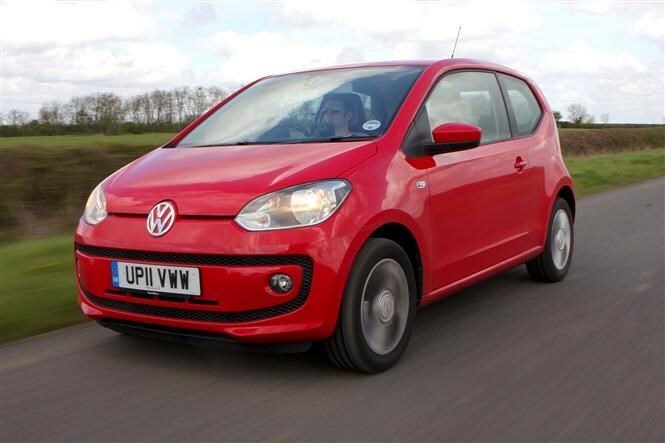 There’s no car under £12k that boasts such an alluring, neat and cohesive design, the up! still looking more like a concept car than a production model. There’s a choice of engines, but our money would be on the 1-litre 73bhp with Bluemotion Technology unit in High up trim thanks to its generous equipment levels and low running costs. Standard Kit: Air conditioning, 15-inch alloy wheels, leather steering wheel, heated front seats, sat-nav and DAB radio. The latest model from the Korean manufacturer is also one of its most complete, with distinctive styling, high standard equipment levels and a roomy cabin. It’s well built too, and heaven forbid it all go wrong there’s the 5-year unlimited mileage warranty to fall back on. Your £12k budget just falls short of the Coupe model, but does stretch to a 74bhp 1.2S Air with the all-important air-conditioning. It’s not ball of fire – 0-62mph taking a leisurely 13.2 seconds – but it’d smooth and refined, with light controls and good visibility making it a pleasure to drive. Standard Kit: Six airbags, air-conditioning, daytime running lights and electric front windows. If money really is an object, then the cheapest family car in Britain has to feature on your radar. It might be the equivalent of a Kwik Save pint of milk (hopefully with greater longevity), completely frill-free, but you get a lot of metal for your money. This five-door family car boasts a 320-litre boot, a three-year 60,000-mile warranty, and no stereo, central locking or air conditioning. But it is refreshingly easy to drive, with a pleasing simplicity to its controls and driving demeanour. Best of all, with £12k you can have two £5,995 Sandero’s and still have enough left over for your milk. Standard Kit: Airbags, ABS and power steering – and not a lot else. 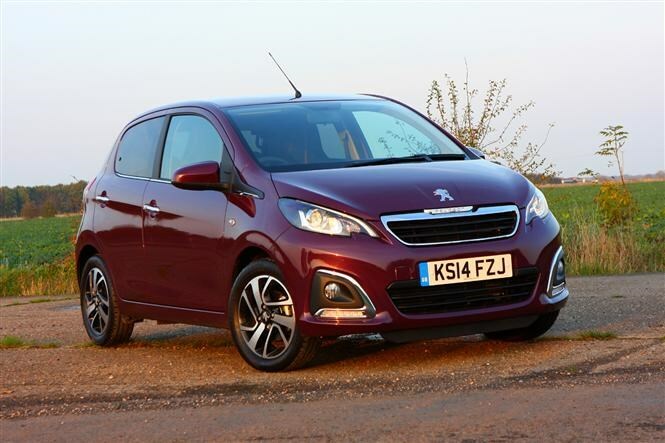 As close as you’re likely to get to a convertible for £12,000 the Peugeot 108 Top features a full-length fabric sunroof that folds right back for wind-in the hair motoring. With a perky three-cylinder engine the 108 is filled full of character too. 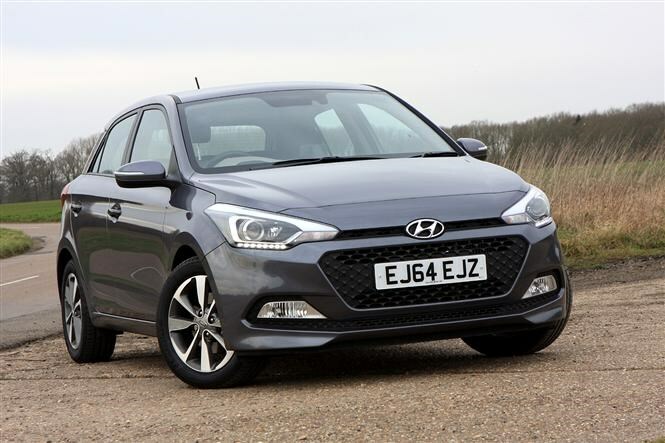 And while the basic Active with 1-litre engine costs just £10,595, it’s worth stretching yourself (and the budget) for the £12,095 1.2-litre Allure instead thanks to greater equipment and more spirited performance. Buy one in a bold colour too, as this is meant to be a fun way to spend your £12,000. Standard Kit: LED daytime running lights, DAB radio, Bluetooth connectivity, seven-inch touchscreen, 15-inch alloy wheels, reversing camera and keyless start. 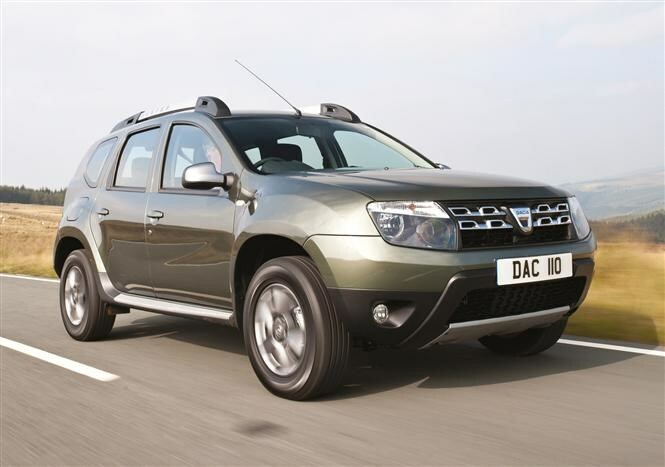 If you live off the beaten track but still need to save some pennies, then the Dacia Duster is the answer. You’ll be entering the range with the basic trimmed Access if you need the 4X4 capability – a more luxuriously specced front-wheel drive Ambiance version is available for £11,995. But half the Duster’s charm lies in its basic, go anywhere nature. 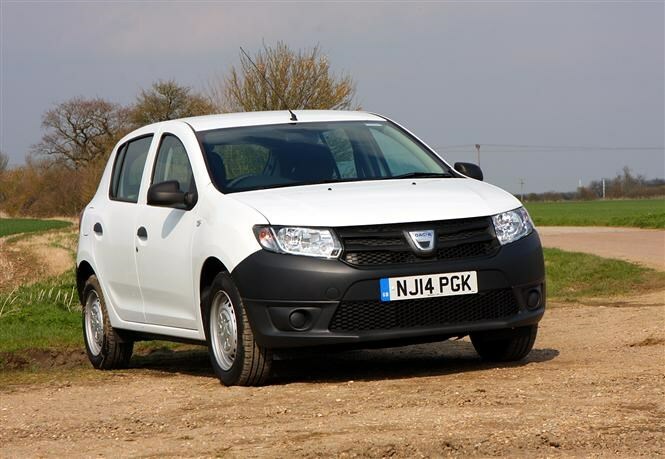 Like the Sandero there’s a refreshing simplicity to this car, and it’s one you won’t feel guilty about flogging along a greenlane – it’s capable too. In the end it’ll likely feel more like a cross between family pet and workhorse rather than your pride and joy. Clearly based on a van, this small family people carrier just sneaks in under our £12,000 threshold as the 1.4-litre petrol Active model. Slow, and not particularly appealing to drive, it does at least have decent visibility thanks to those tall windows and acres of room. 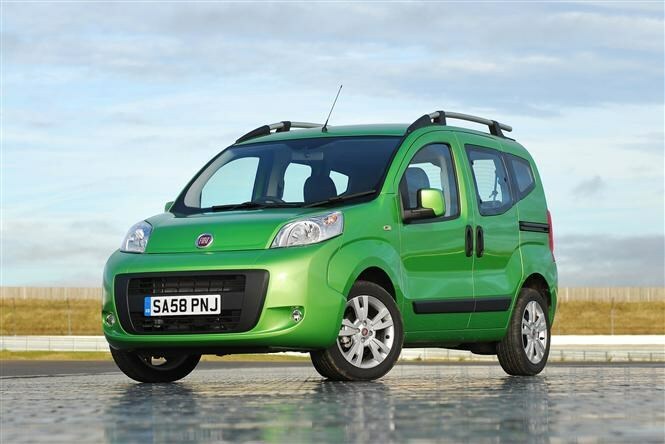 There’s only a middling 330 litres of space with the seats in place, but fully removed this leaps to an incredible 2,500 litres instead – so if you regularly have to carry large loads rather than people, the Qubo is just the car for you. 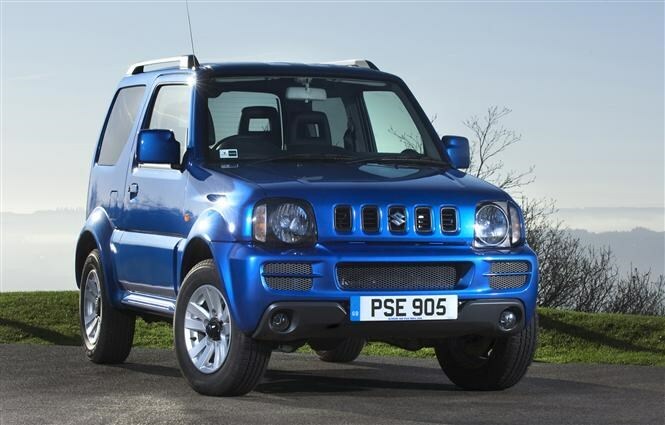 So we’re having to cheat slightly with this one, but the prospect of a Suzuki Jimny for just £195 more than our £12k budget is too much to resist. A proper 4X4, with mud-plugging capability closer to a Land Rover Defender than a Nissan Qashqai, the Jimny is almost as well-suited to inner-city blacktop too thanks to its small stature. That 1.3-litre engine does struggle at higher speeds though, and refinement on the motorways is sorely lacking, plus insurance costs may be high. But there’s no more distinctive way to spend your £12,000 (once you’ve negotiated your £195 discount from the dealer). Standard Kit: Remote central locking, electric front windows and a CD stereo.